This Chicken Parmesan Marinara Bake is the ultimate comfort food. A delicious blend of tender chicken with marinara sauce, melted cheese and Panko crumbs for a irresistible dish everyone will love! 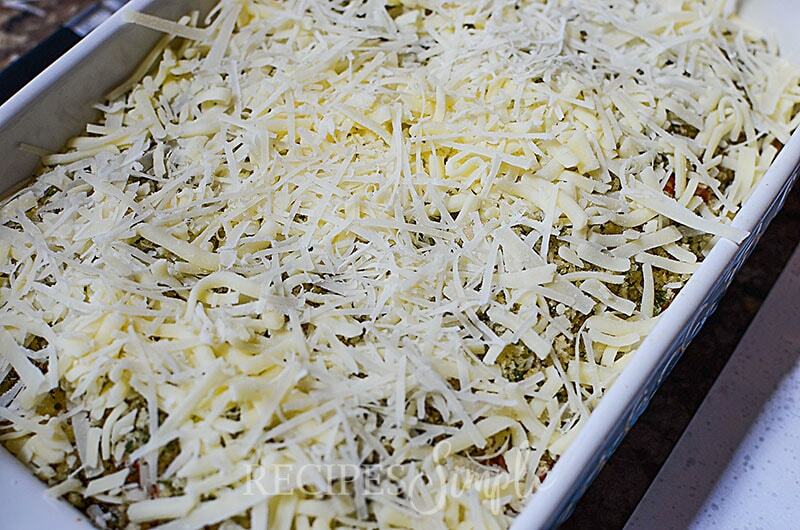 My family really loved this Chicken Parmesan Casserole Bake with Panko crumb topping recipe. It’s great served over your favorite pasta with a side salad and crusty bread. 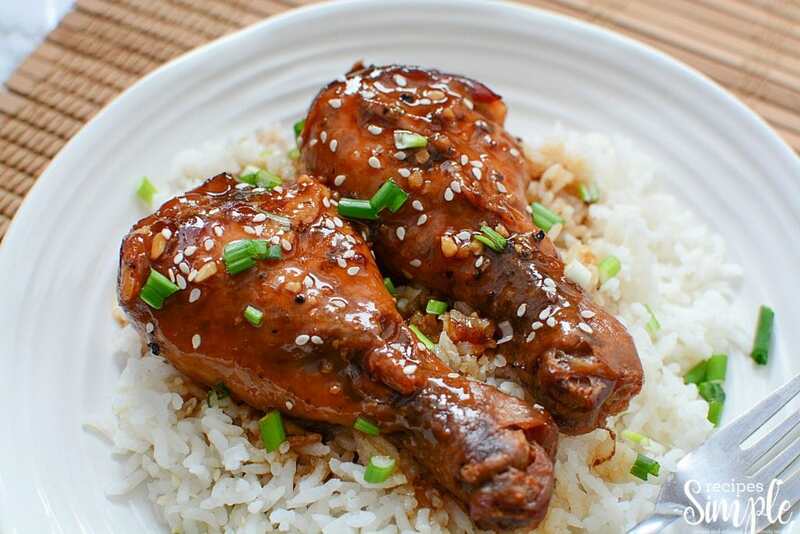 I’m always looking for new twists on recipes and this one was a hit. If you’re looking for a super delicious, yet still easy chicken marinara recipe, you are going to love this one! This easy recipe is impressive enough to serve to guests at parties, birthday dinners or church potluck. I like to serve it next to a bowl of pasta so guests can add pasta to their plate and spoon the Chicken Parmesan Marinara Bake over it. So good! 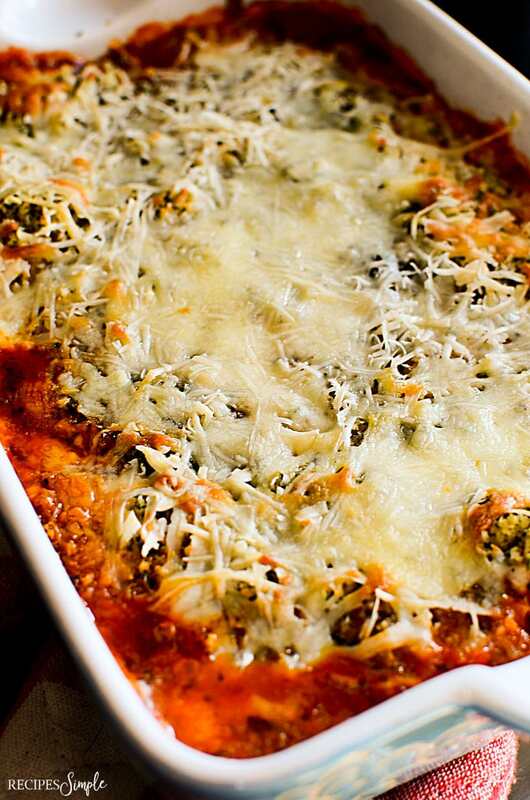 Scroll to the bottom for the printable Chicken Parmesan Marinara Bake recipe! 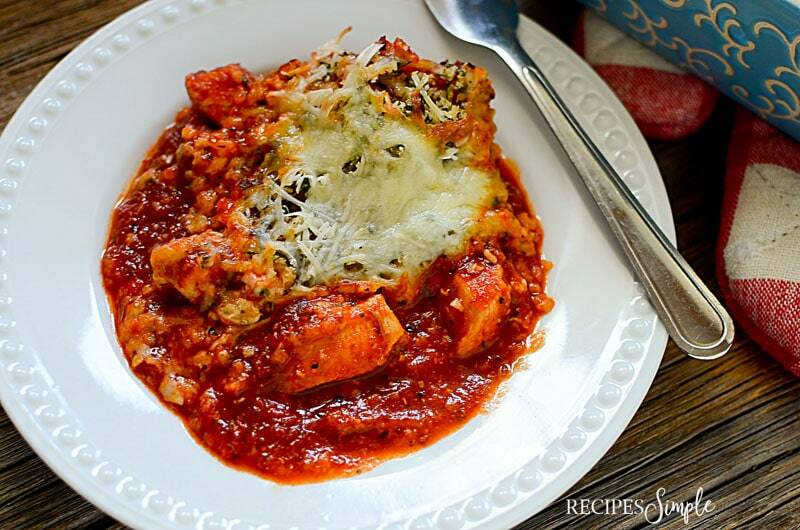 To get started with this Chicken Parmesan Marinara Bake, gather all your ingredients to make it easier in the kitchen! You’re going to need olive oil, garlic, red pepper flakes, chicken breasts, marinara sauce, Italian seasoning, shredded mozzarella cheese, grated Parmesan cheese, Panko crumbs, dried parsley, and butter. Preheat the oven to 350 degrees and season the diced chicken with salt, pepper, and red pepper flakes. Heat the oil in a fry pan and sear the chicken on both sides, making sure to only do a few pieces at a time to keep the chicken from steaming. 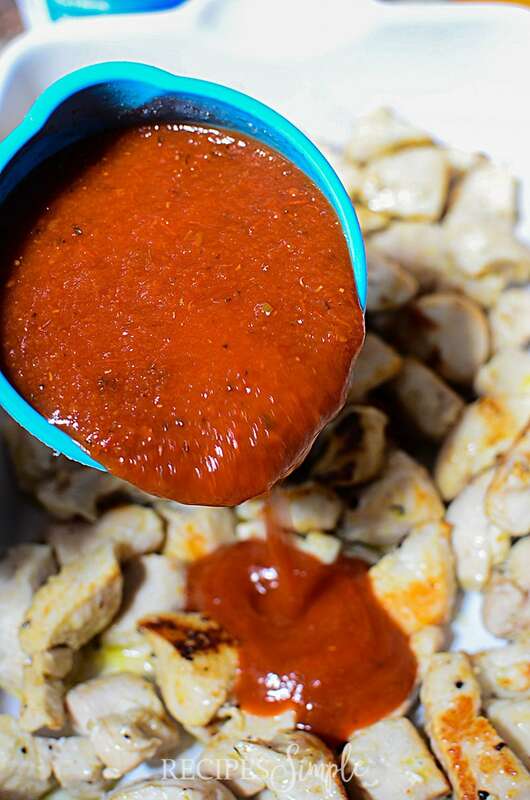 Pour the marinara sauce into a casserole dish and place the chicken on top. 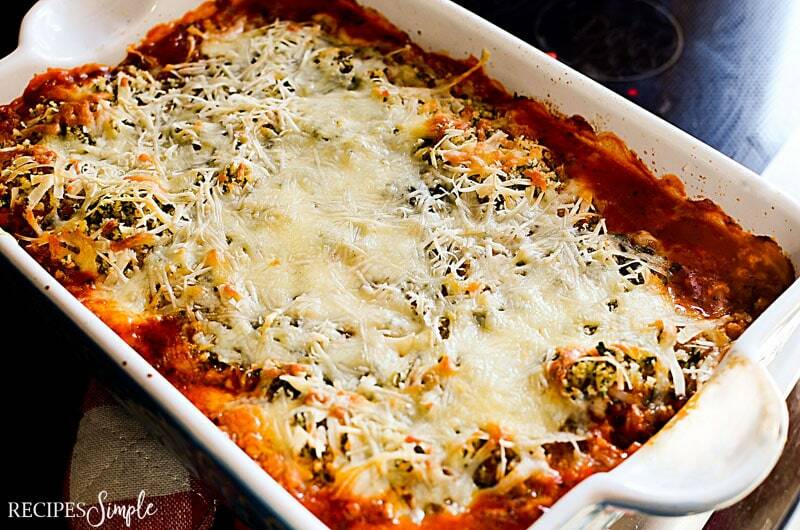 Top with 1/2 cup of mozzarella and 1/2 cup of shredded Parmesan. 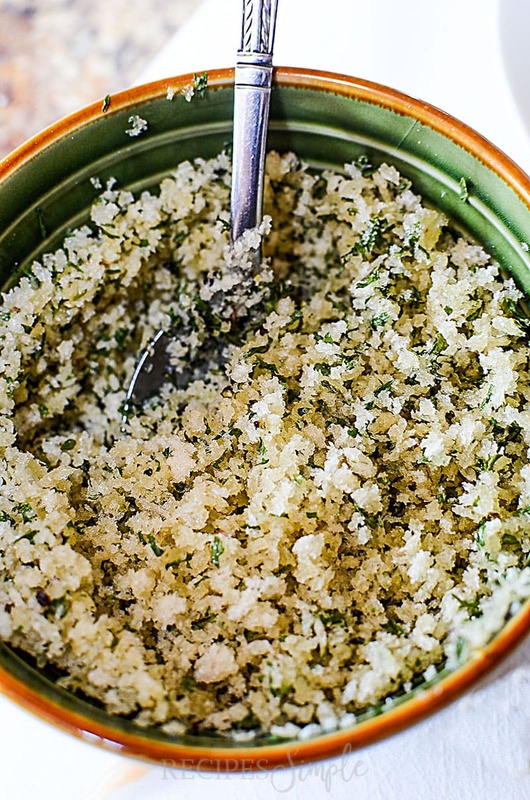 In a small bowl, combine the Panko, dried parsley, and butter. Sprinkle the Panko on top of the cheese and then sprinkle with the remaining cheese. Bake for approximately 25-30 minutes or until the cheese is completely melted and golden on top. Allow the dish to cool for approximately 5 minutes before serving. Enjoy! 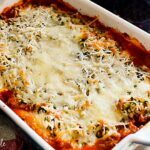 This recipe is shared on Meal Plan Monday where you can find lots of delicious recipes to add to your meal plans. 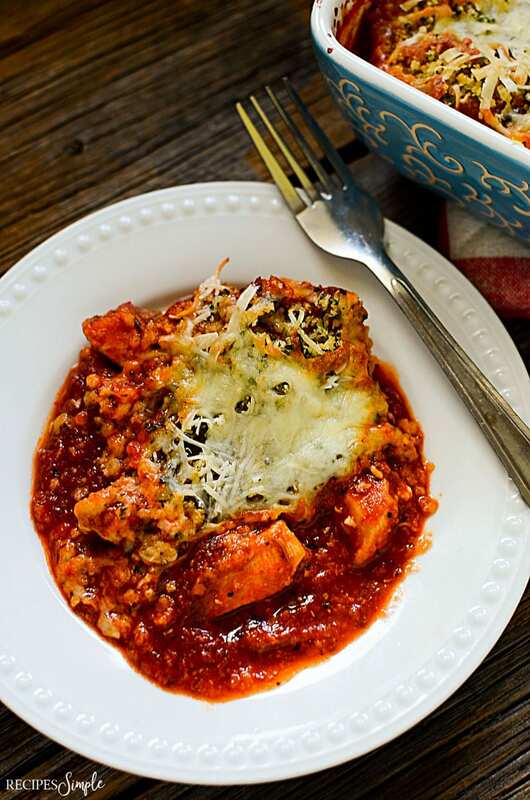 This Parmesan Marinara Chicken Bake is the ultimate comfort food. A delicious blend of tender chicken with marinara sauce, melted cheese and Panko crumbs for a irresistible dish everyone will love! Preheat the oven to 350 degrees and season the diced chicken with salt, pepper, and red pepper flakes. 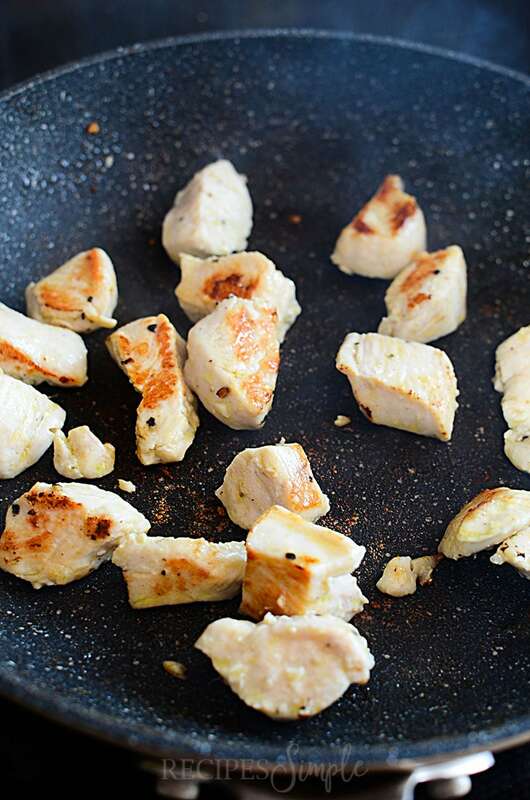 Heat the oil in a fry pan and sear the chicken on both sides, making sure to only do a few pieces at a time to keep the chicken from steaming. If you loved this Chicken Parmesan Marinara Bake, you’ll love these Slow Cooker Honey Garlic Chicken Legs! 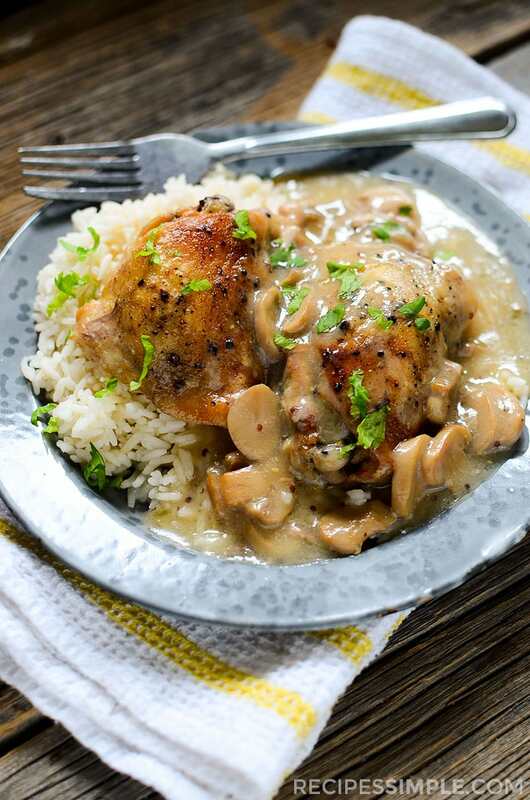 Or how about this delicious Slow Cooker Mushroom Mustard Chicken?